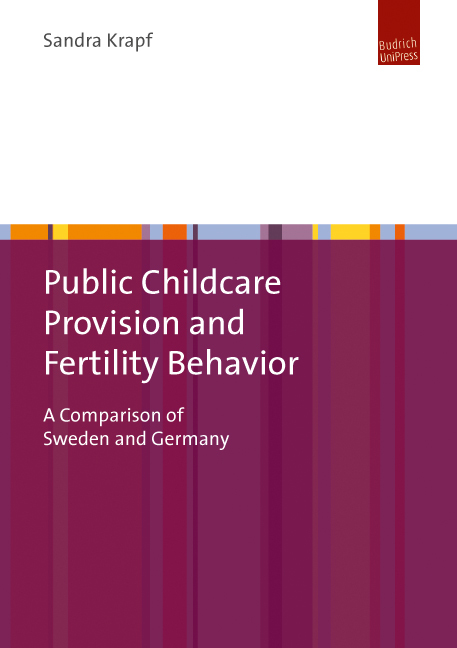 The author investigates the relationship between the availability of public childcare for children under age three and the decision to have a first child. One would expect that childcare reconciles work and family and thus positively affects childbearing. However, existing research results on this relationship are inconsistent. Based on individual level datasets for Germany and Sweden, the author analyzes two research questions. First, she focuses on who makes use of public childcare for children under three years. Second, she assesses how childcare policies shape first birth decisions. The findings imply that the effects of public childcare services are not homogeneous across countries or socioeconomic groups.